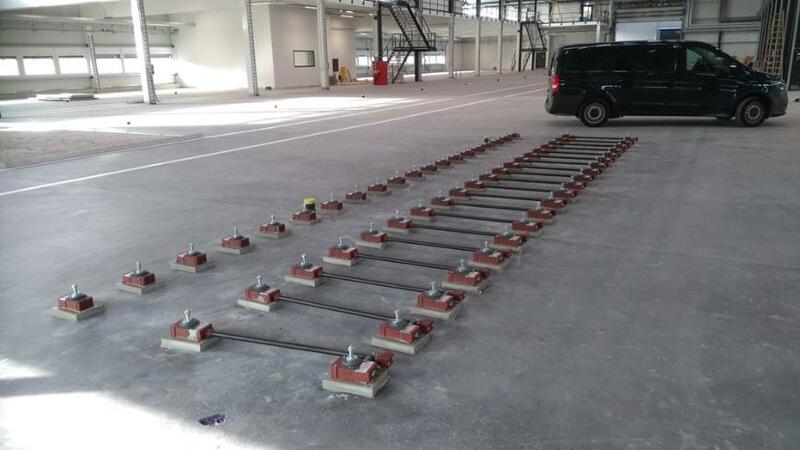 A special service of Fixatorenbau Bertuch & Co. GmbH is the pre-installation of the BW-Fixators® and other levelling elements. In this procedure the elements will be measured and grouted before the machine arrives. The drilling of anchor holes could also be done by us. Precise measurement with a laser tracker. The machine can be set and aligned immediately after arriving. No waiting time due to concrete or grout curing. The position of the machine is predetermined by BW-Fixators®. Large cost and time saving.